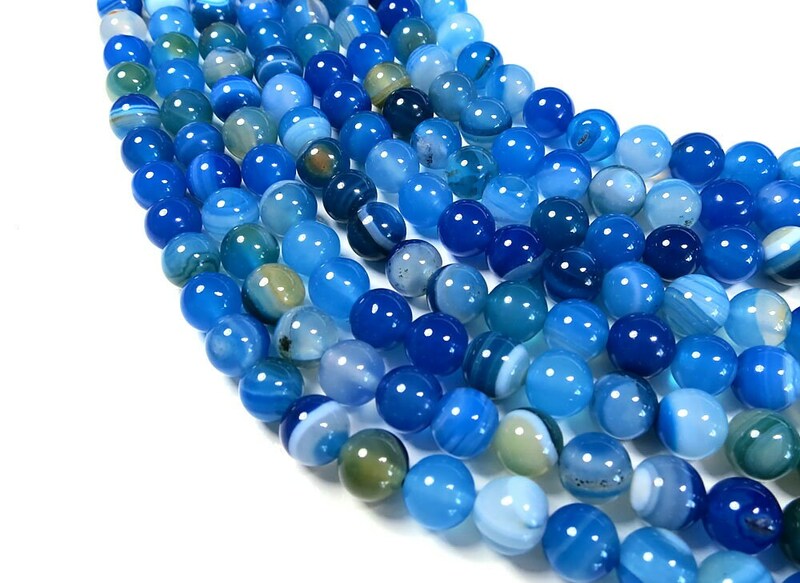 The color of these beads is beautiful. 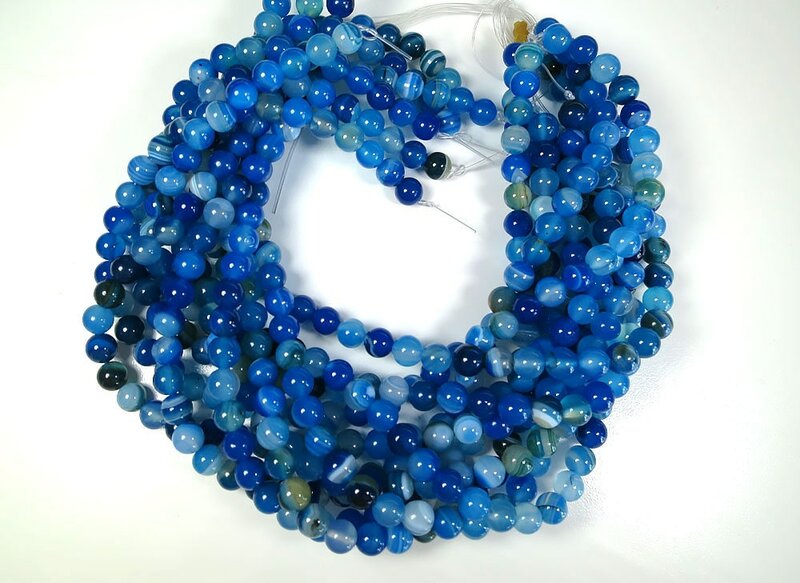 I made a simple necklace that I know I will enjoy wearing. 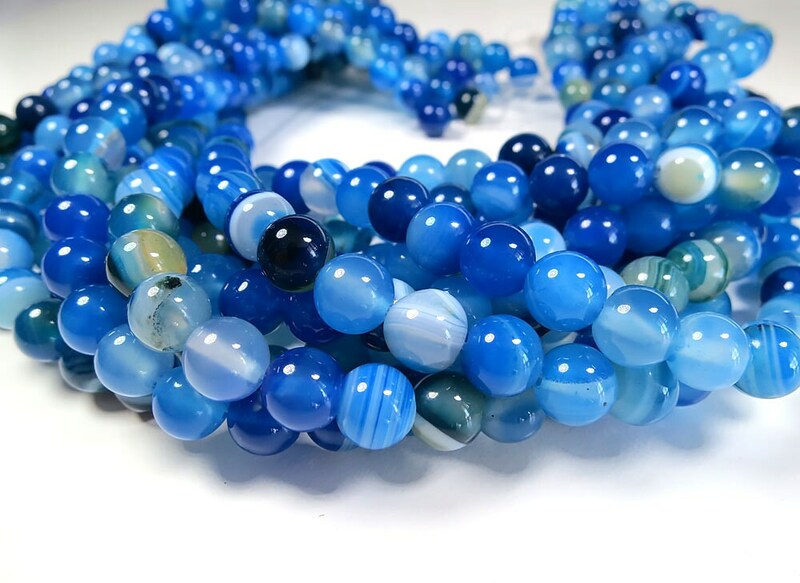 Gorgeous Love the Blue Banded Colors in this strand of Beads! 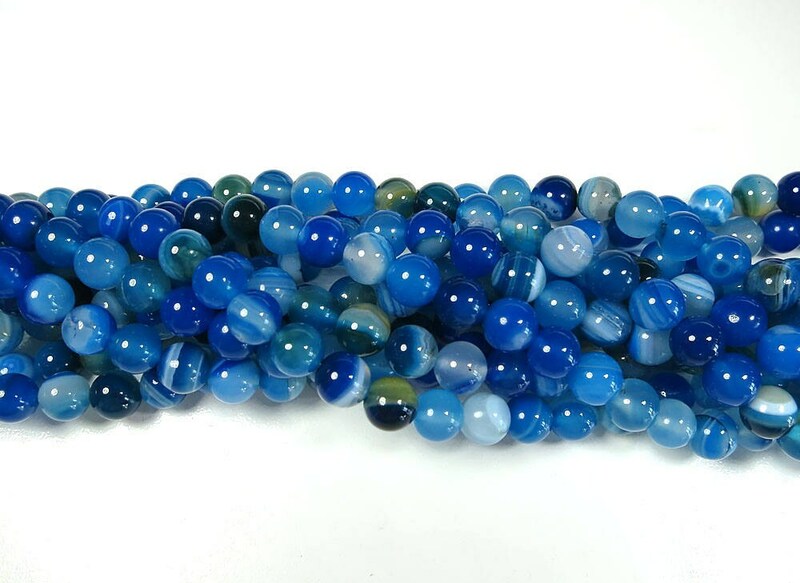 First Quality Items at a GREAT price!